My Security+ Study Group will help you prepare for the Security+ exam. I’ll send you coaching emails that guide you through my study materials and prepare you for the Security+ exam. Fill out the form below to join for free! LinkedIn Learning features a series of nine video courses that I’ve prepared covering all of the material on the Security+ exam. You can try them for free! 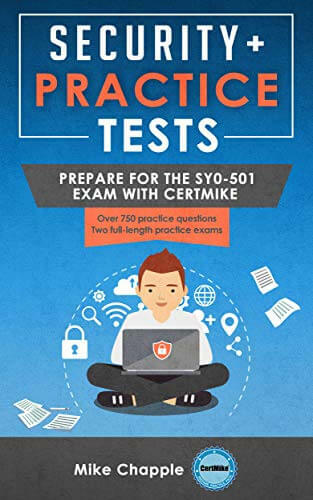 My official CertMike Security+ Practice Tests are specially designed to mimic the real exam experience and help you test your knowledge before exam day. 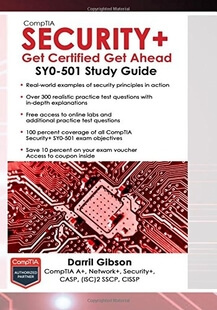 If you’re looking for a Security+ book, I strongly recommend Darril Gibson’s Security+ Study Guide as a resource to help you prepare for the Security+ exam. 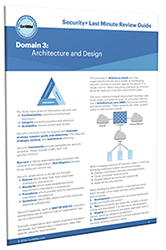 My Last Minute Review Guide provides you with a concise summary all 7 Security+ domains to help you pass the exam on your first attempt.